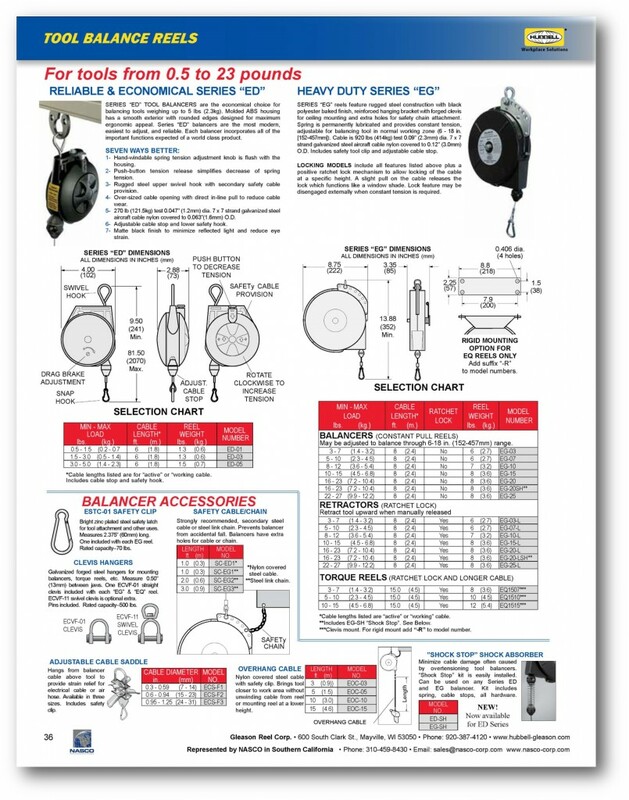 NASCO provides a line of Gleason tool balancer reels that are designed to make an operators’ job easier, safer, and reduce fatigue, addressing lean manufacturing requirements, and increase plant productivity. 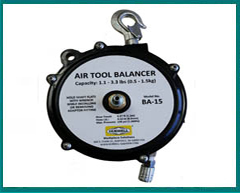 We offer balancers for various tools or products, ranging in weight capacity from 3 to 187 pounds. 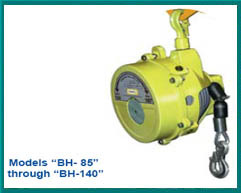 Heavy duty models feature rugged steel construction, steel wire rope, and automatic safety catch system. NASCO is experienced in providing assistance in product selection and applications. 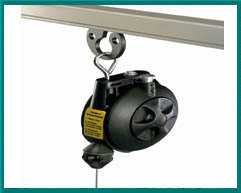 Mounted on existing work stations, overhead festoon systems, jib cranes, and even forklifts, tool balancers are an integral and necessary element in any manufacturing operation. 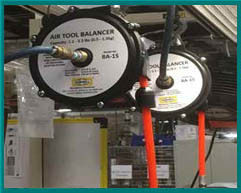 Balancers, are easily adjustable, reliable, and are available in Constant Pull, Neutral Balance, or Ratchet Lock. They effectively extend the life of a tool while increasing safety in the work area as well as making even the heaviest tool light as a feather.